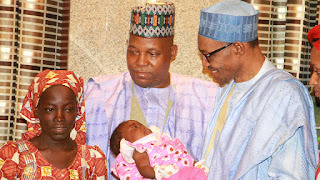 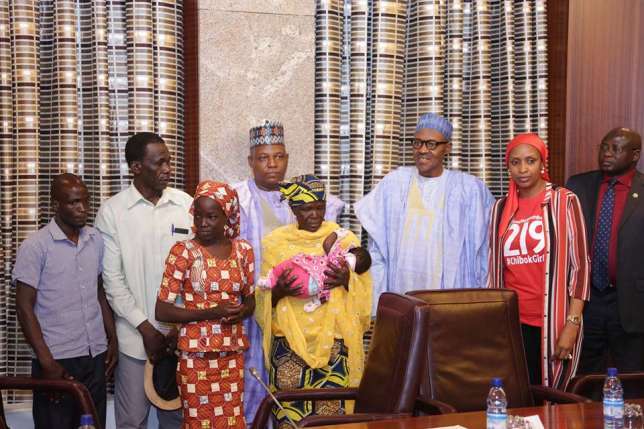 Rescued Chibok girl Amina Ali has met with President Muhammadu Buhari at the Presidential Villa, Abuja. 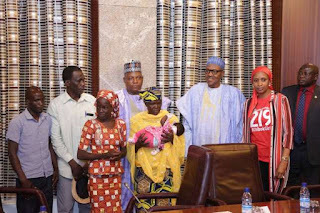 The Chibok school girl, who is one of the over 200 girls abducted by the deadly Boko Haram insurgents in April 2014 was reportedly rescued in the Sambisa Forest, close to the border with Cameroon on Tuesday. 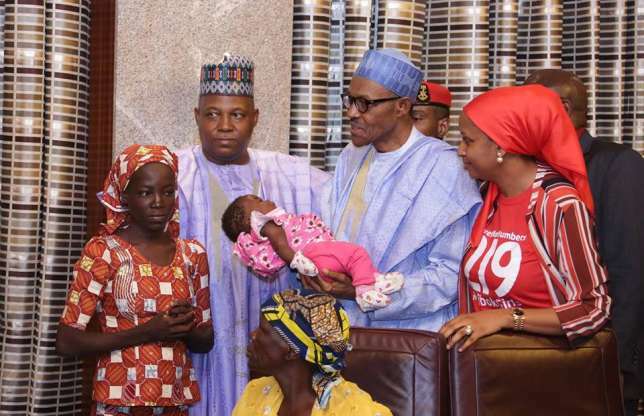 She was driven into the forecourt of the President’s office at exactly 2.242 pm, in an unmarked vehicle, amidst tight security, accompanied by her mother and a brother and another young lady carrying a child said to be her baby. Security operatives, however, had hectic time controlling the deluge of cameramen and photographers, from both local and international media, struggling to take her pictures. 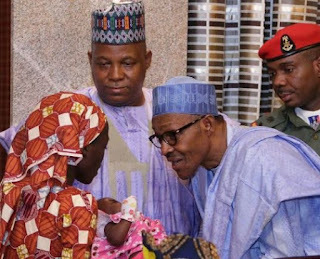 She was accompanied to the Villa by the Borno State governor, Kashim Shettina, Defence Minister, Gen. Mansur Dan Ali, (rtd) Chief of Defence Staff, (CDS), Gen. Tunde Olonishakin, National Security Adviser, (NSA). 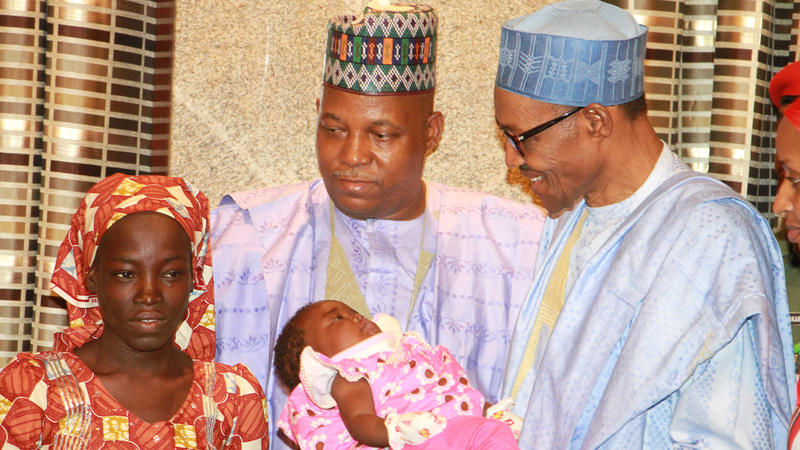 General Mohammed Babagana Monguno, (rtd). 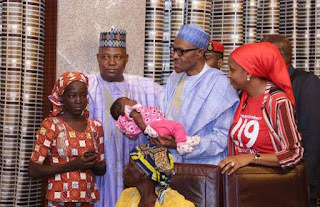 The rescued Chibok school girl, Amina Ali, was airlifted by Nigeria Air Force (NAF) Super Puma aircraft from Damboa to Maiduguri alongside her baby and supposed husband, Mohammed Hayatu on Tuesday.